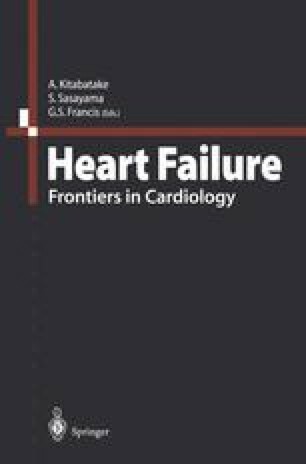 Mortality rates remain high in patients with heart failure despite the introduction of angiotensin-converting enzyme (ACE) inhibitors as standard therapy, possibly because of underuse or underdosing or related to concerns of intolerability. The availability of losartan, the prototype oral angiotensin II (AII) antagonist, has provided the opportunity to compare agents that directly block the renin-angiotensin system in heart failure versus ACE inhibition. Although the AII antagonists exhibit similar cardiovascular effects, their affinity for the AT1 receptor and pharmacokinetics and pharmacodynamics differ, and it is likely that there are clinical differences between these drugs. To date, more than 6 million hypertensive patients have been treated with losartan; clinical experience in heart failure is growing. The only clinical outcomes data in heart failure with the AII antagonists are with losartan: in the Losartan Heart Failure Study—ELITE (n = 722), an unexpected 46% reduction in mortality (primarily sudden death) was observed with losartan versus the ACE inhibitor captopril (despite no difference in the primary renal dysfunction endpoint). Similarly, improved survival with losartan versus placebo was observed in the pooled analysis of the shorter-term losartan exercise studies (n = 733), and the risk of dying was approximately one-half that of the control groups in a metaanalysis of all controlled phase II/III studies. Potential mechanisms for improvement in survival are currently under investigation in the Losartan Heart Failure Survival Study—ELITE II, and the benefits of losartan postmyocardial infarction, in type II diabetes, and in hypertensive left ventricular hypertrophy are being evaluated in large clinical outcomes trials (OPTIMAAL, RENAAL, and LIFE, respectively).